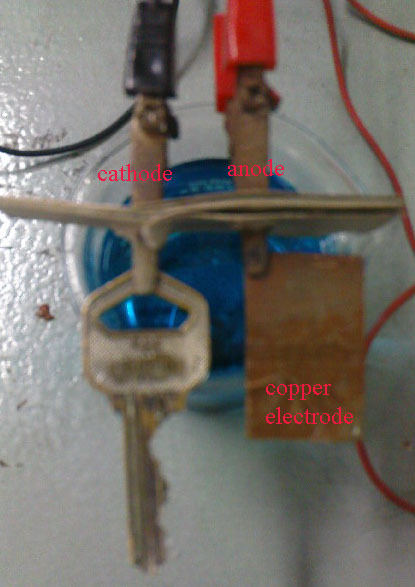 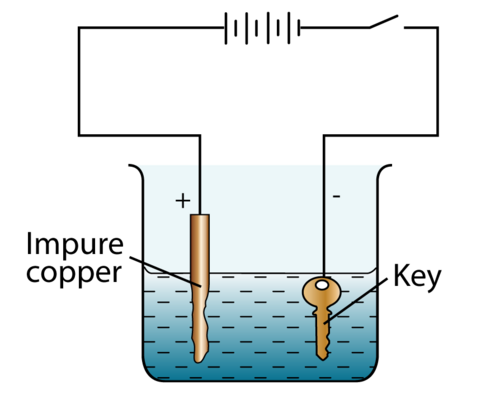 cathode: A brown metal deposited on the surface of the iron key. 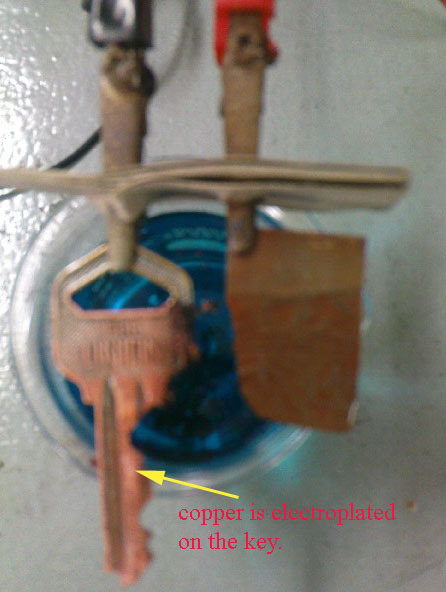 anode: Copper anode becomes thinner. You can also watch the electroplating of metal in industry through below video.